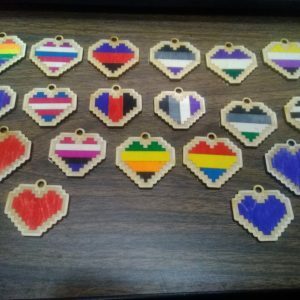 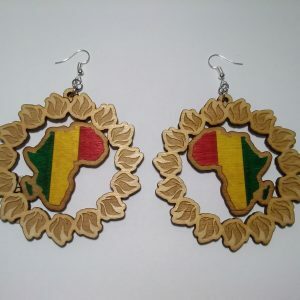 Laser cut, laser engraved, hand painted and hand built. 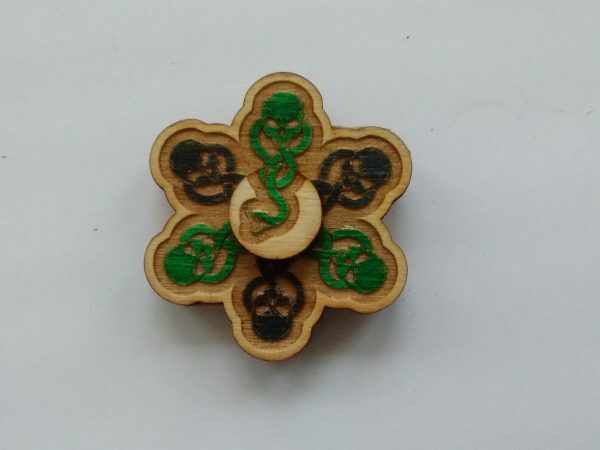 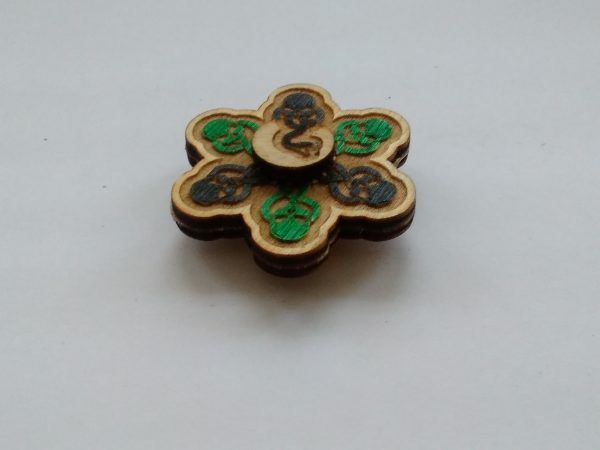 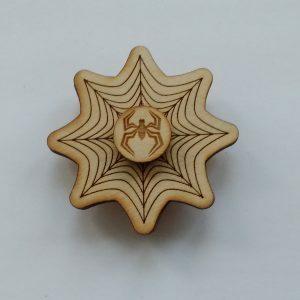 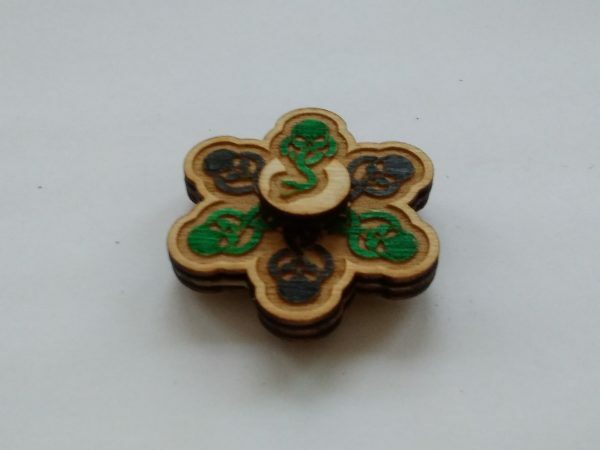 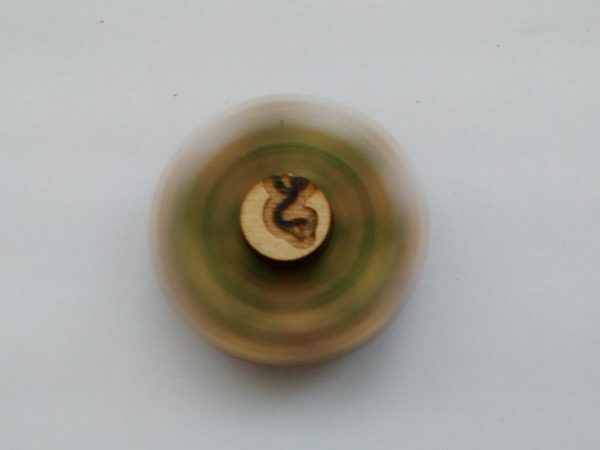 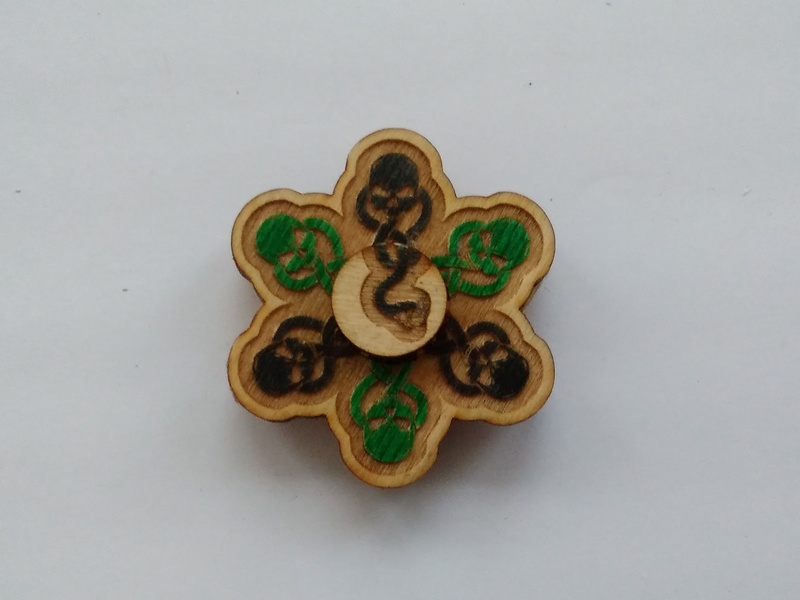 Wooden fidget spinner based on the "Dark" mark with a snakes head on the cap. Wooden fidget spinner based on the “Dark” mark with a snakes head on the cap.